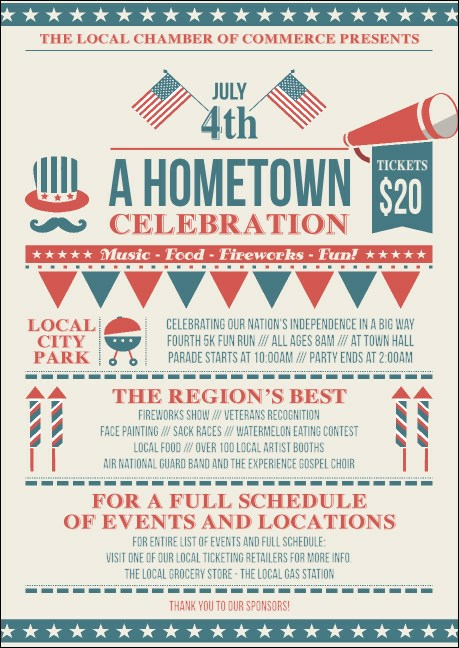 Show the community just how strong your American pride is when you print Fourth of July Hometown Club Flyers and send them out to your guest list. Bring your ticket sales home with pre-event promotions that feature all the glory of stars and stripes in red, white and blue, along with room to add twenty-five lines of unique text. TicketPrinting.com helps you make the most of the freedom to celebrate.